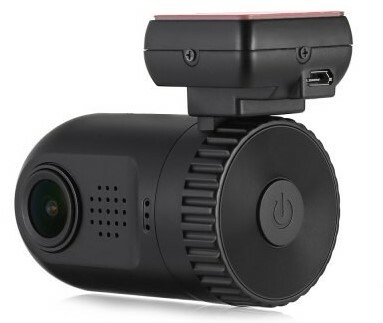 For 2017, a new Mini dash cam has been released, the Mini 0805P. The Mini 0805P no longer uses an Ambarella processor which was common in most of the other Mini cameras. The Mini 0805P uses the MStar MSC8328P processor (used to be called the AIT8328P before MStar acquired Alpha Imaging Technology – AIT). From what we have seen in the past MStar and AIT processors have been used in lower end cameras. That being said, numerous 2017 cameras are featuring this chipset. This processor is combined with the Omnivision OV4689 CMOS sensor. The Mini 0805P can record at 1296p resolution at 30fps. The bit rate is quite high at approx 22Mbps. Video quality during the day is very good however night quality is average, particularly when trying to make out details in dark scenes. This is a bit disappointing considering the original Mini 0805 had good night quality (likely due to the Ambarella processor). The Mini 0805P has a small same form factor and size (75x47x35mm) as the original Mini 0805. The camera comes with a 1.5″ screen, G-sensor and a GPS mount. Overall build quality is good. The Mini 0805P uses a capacitor instead of a battery, making it more suitable for hot environments which is an improvement over the original Mini 0805. We would like to thank our member Sunny who created a review on our forum and also this unboxing video. 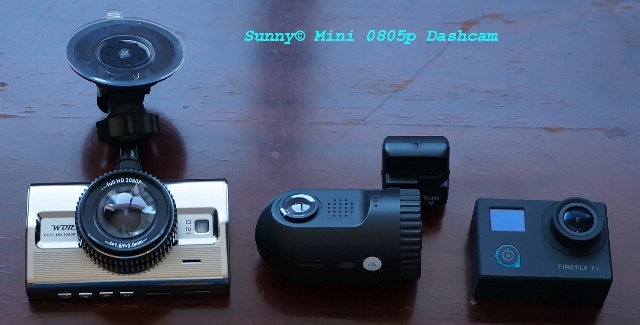 The following photo from our member Sunny compares the M9S (left) Mini 0805P (middle) and Firefly 7S (right). The Mini 0805P is a new camera and we have not heard of any common problems as of yet. The Mini 0805P deviates from the previous Mini series camera by using an MStar MSC8328P processor instead of an Ambarella processor. While decent during the day time, video quality at night is disappointing. That being said the price of the camera is inexpensive at under $70 and it does come with a capacitor instead of battery. Form factor and GPS are great as well but reliability is unknown at this point (the entire Mini Series have not been the most reliable cameras). Overall an okay camera for the price but if you are looking for good night quality, consider another camera. To see what other owners are saying, visit our Mini 0805P Forum. Final Word Discreet, small, GPS and reasonably priced. Night quality is average and reliability is unknown.